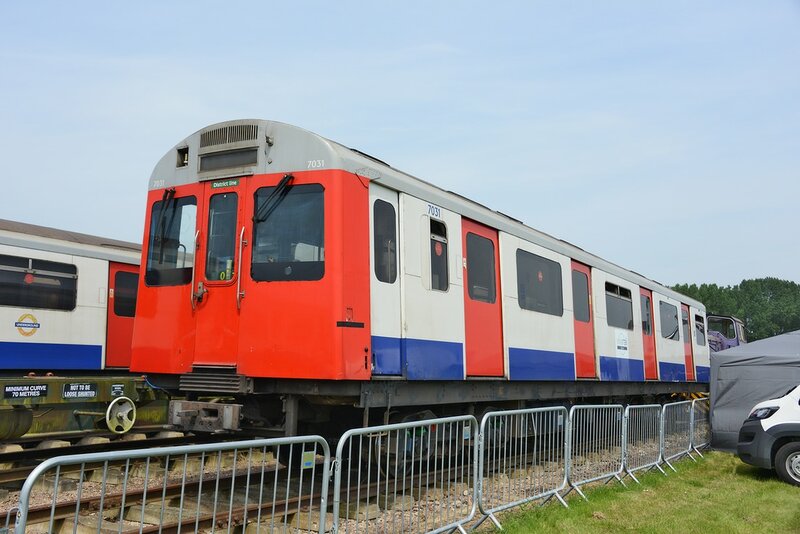 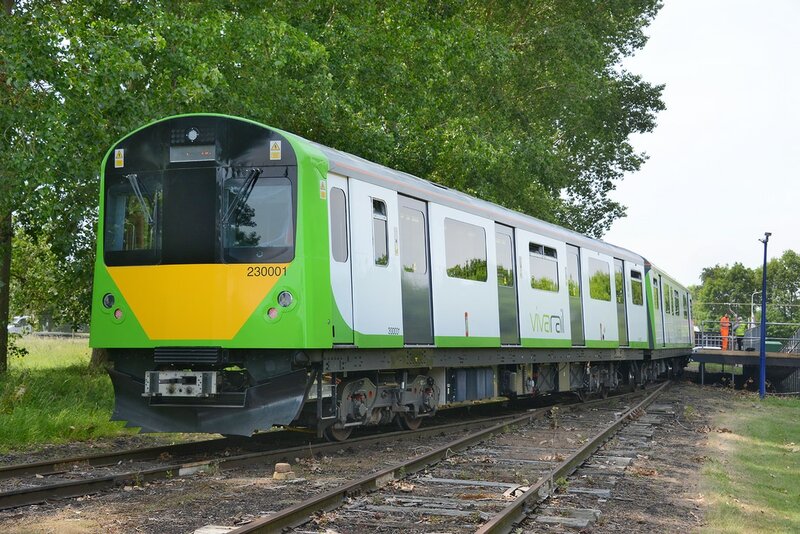 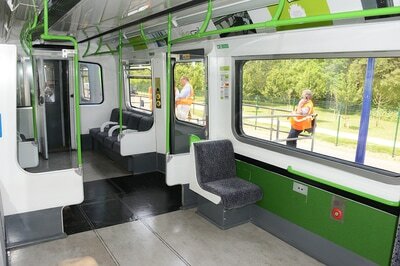 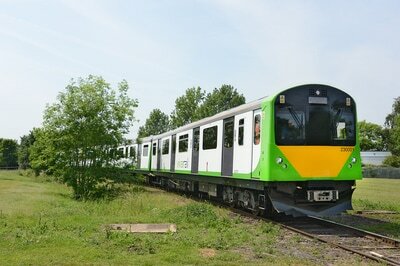 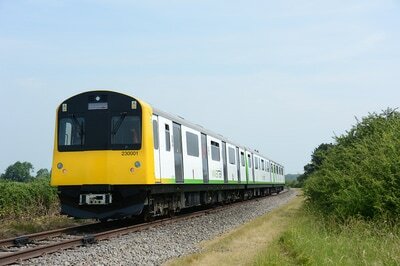 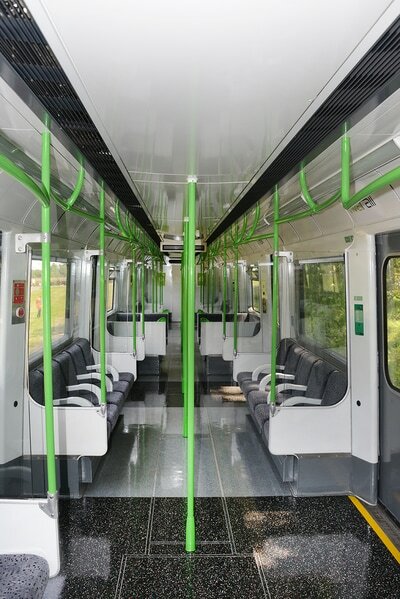 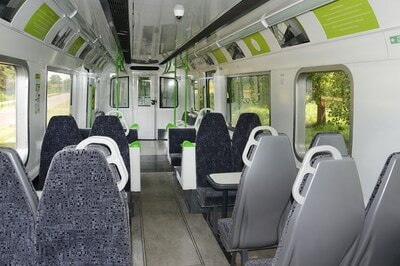 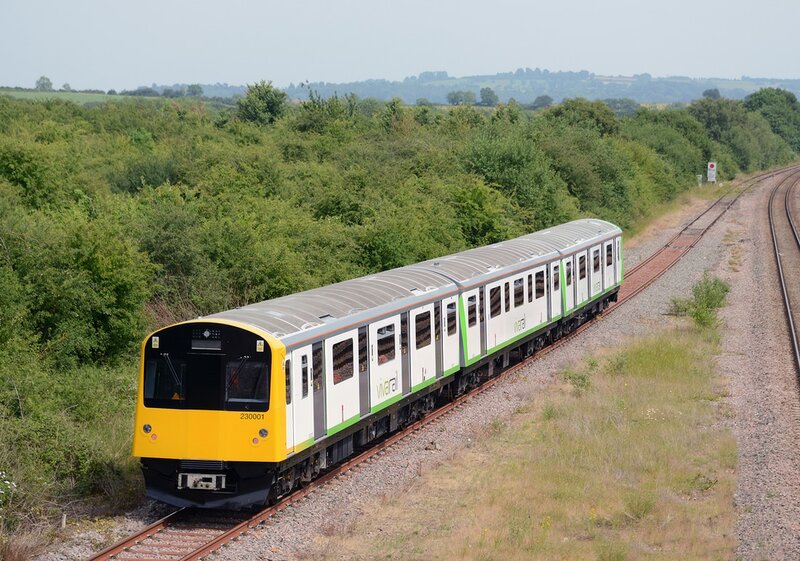 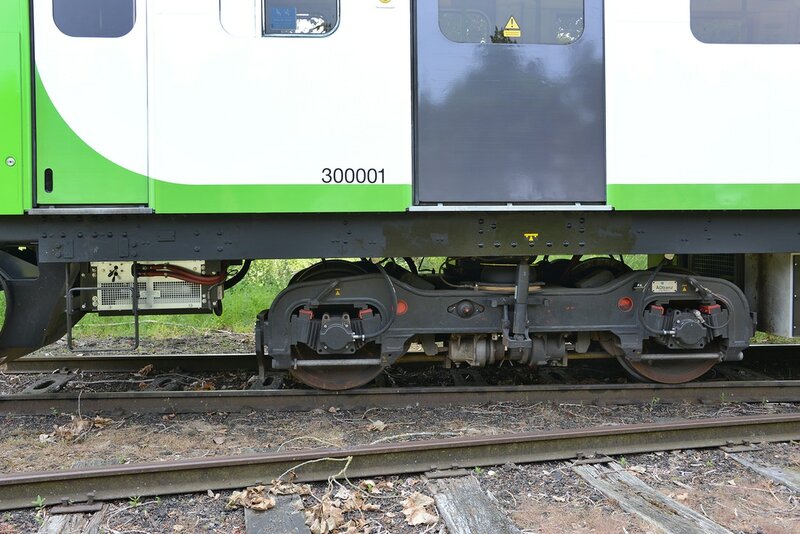 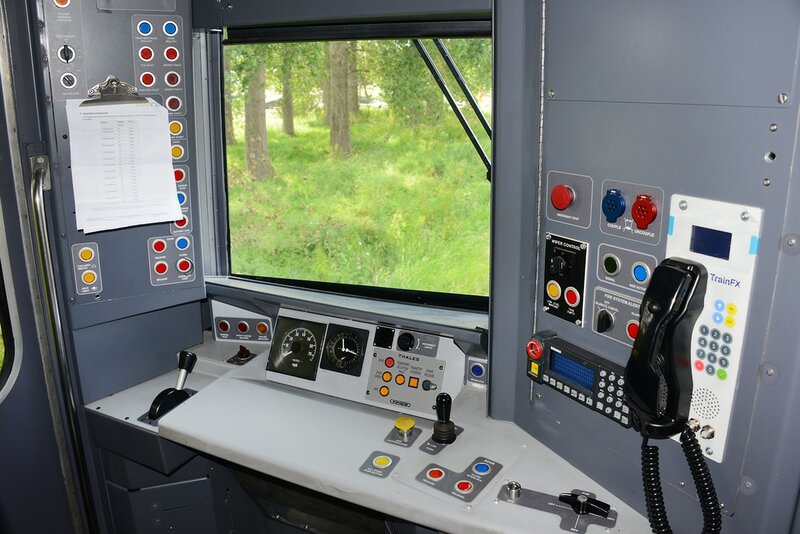 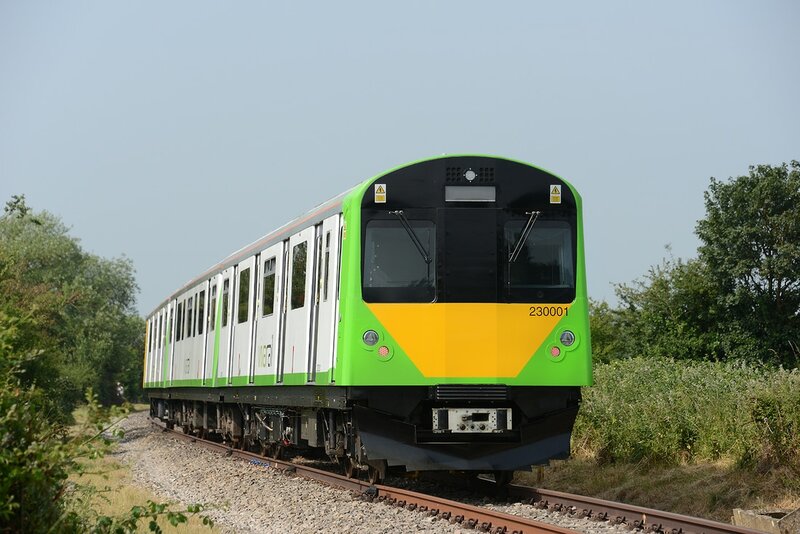 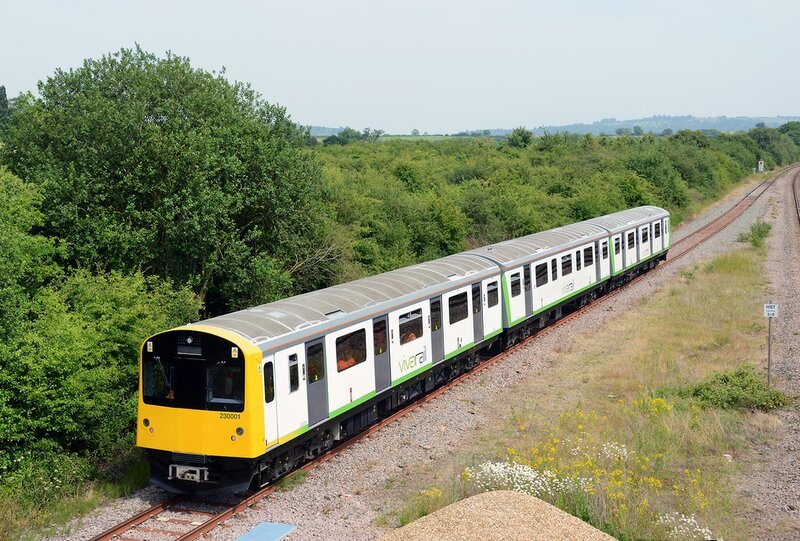 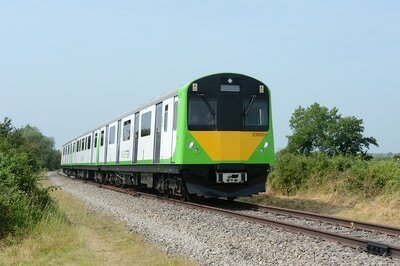 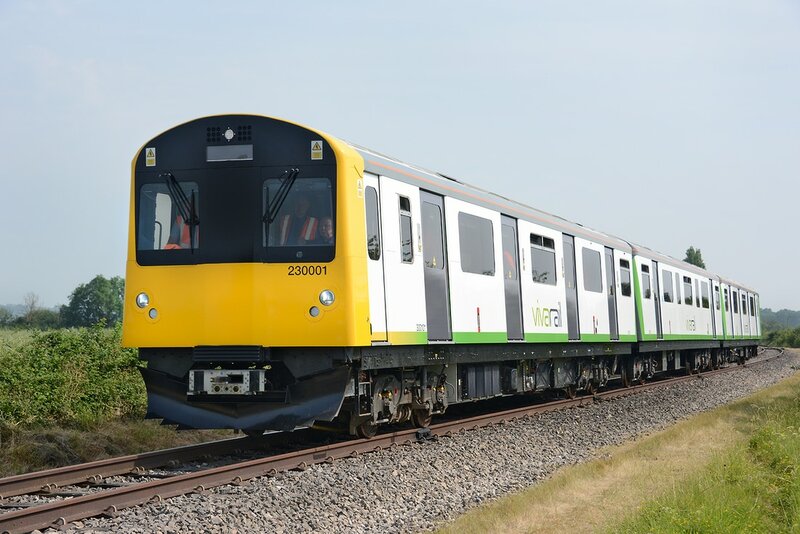 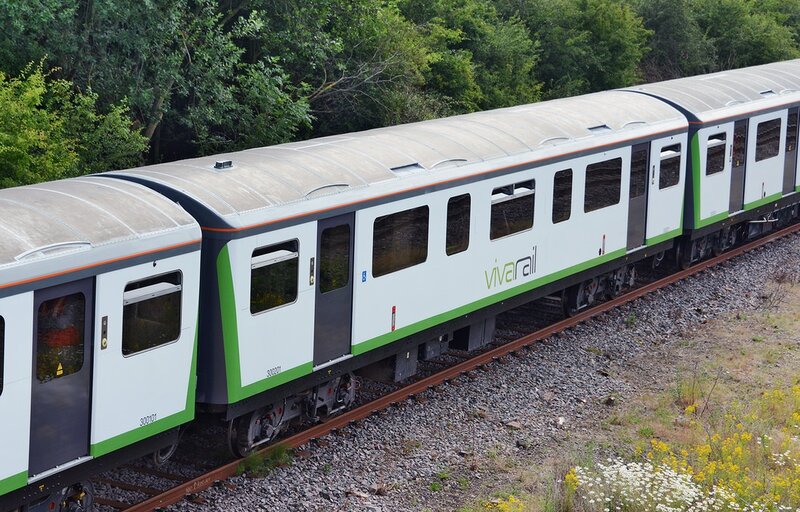 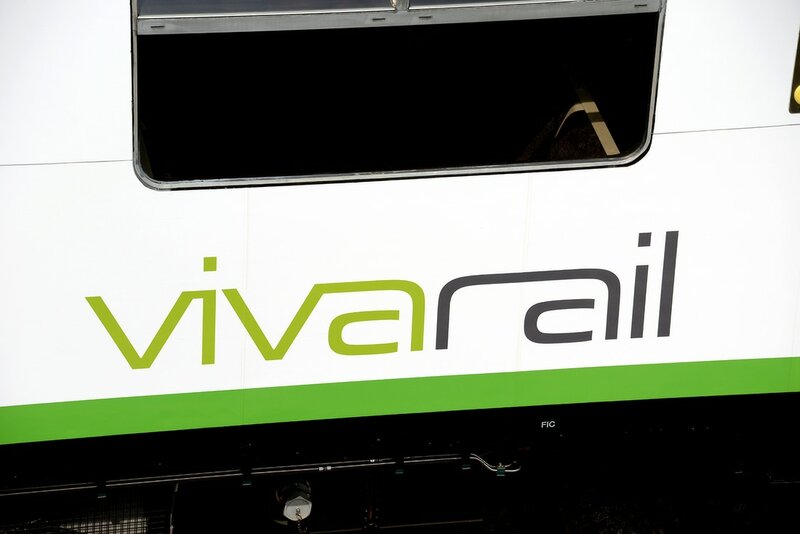 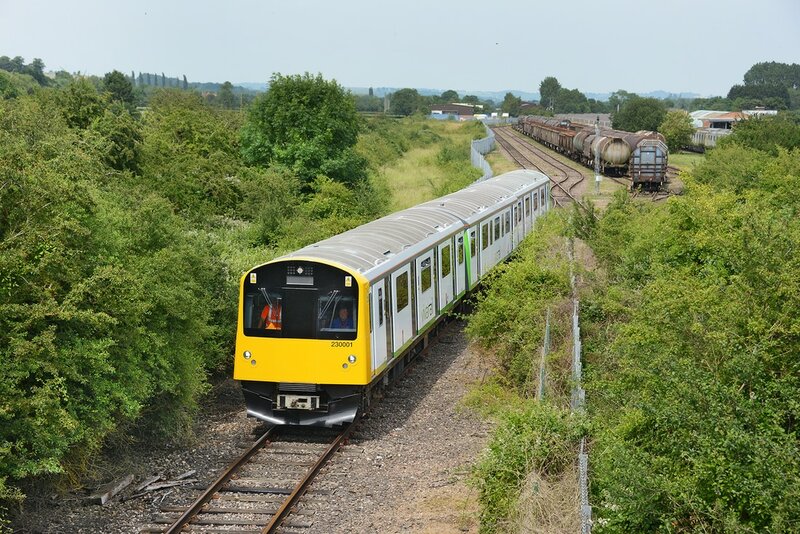 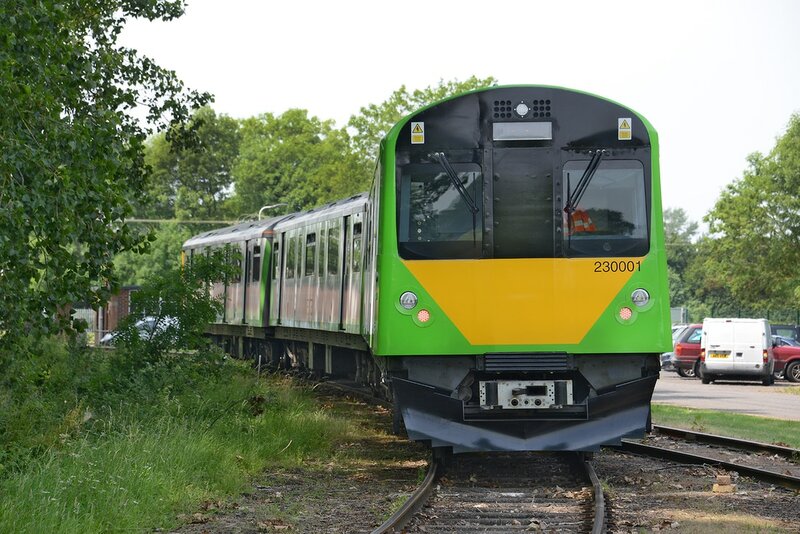 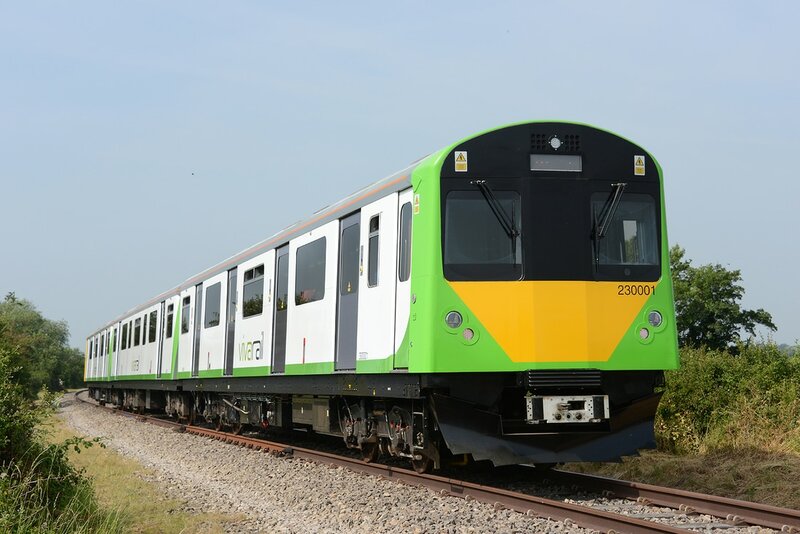 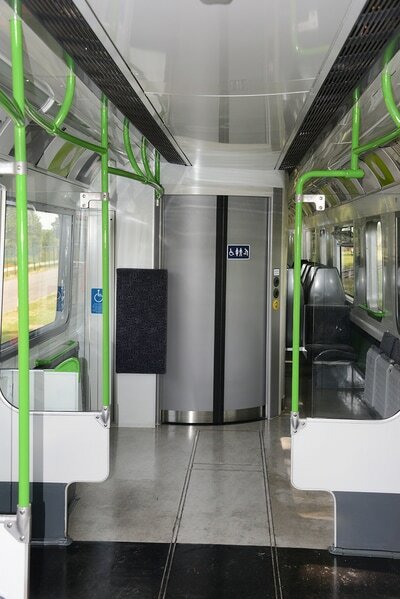 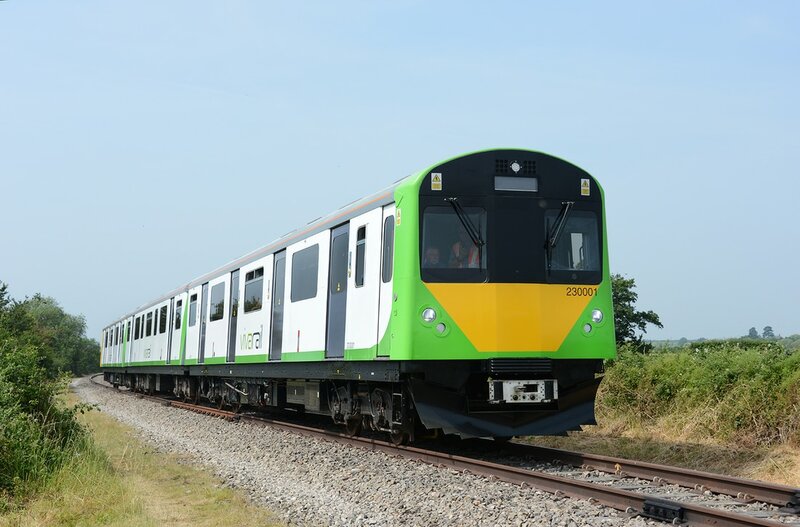 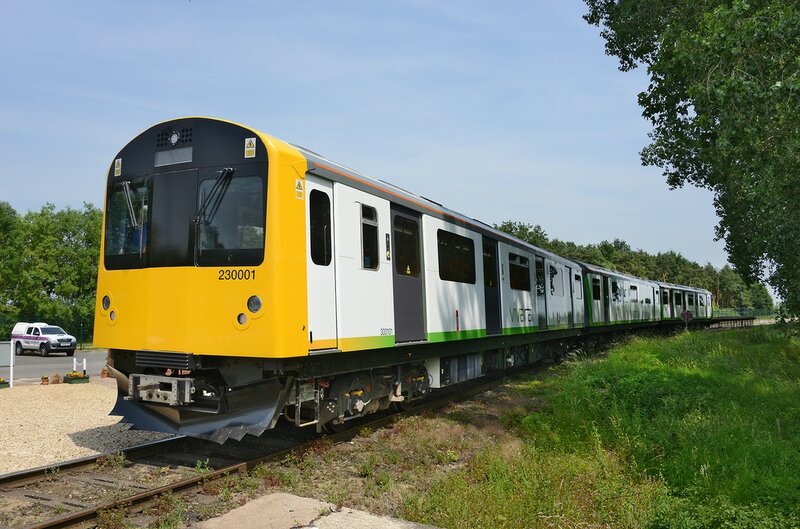 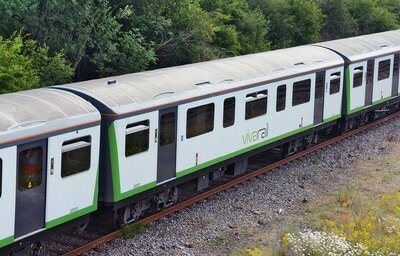 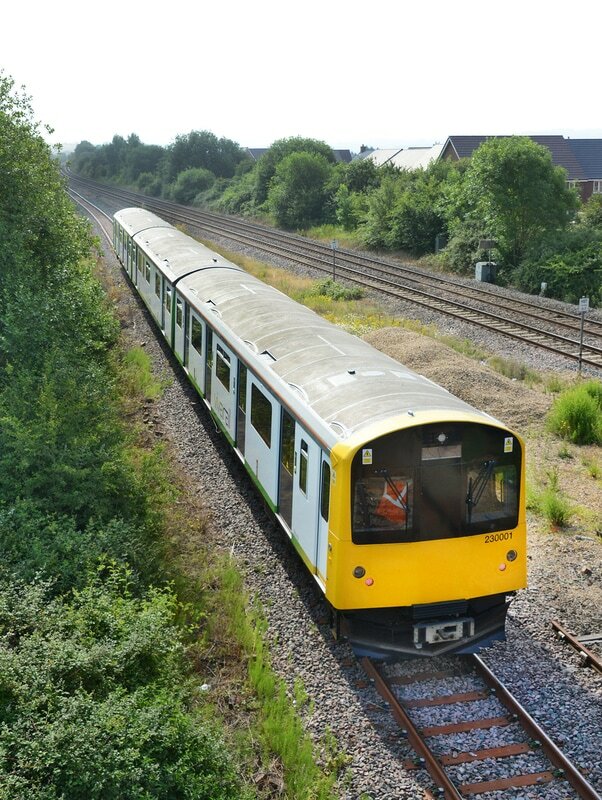 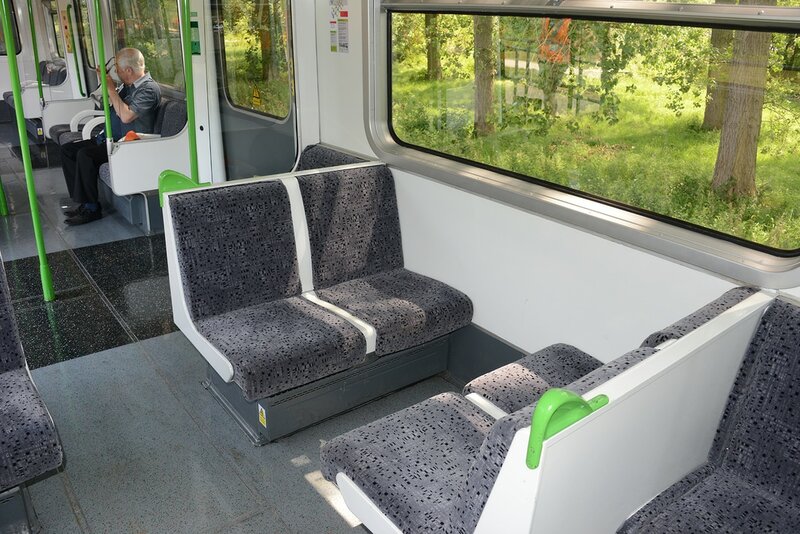 Class 230 VivaRail test train, formed of DM 300001 (ex D stock 7058), TS 300201 (ex D stock 17128), DM 300101 (ex D stock 7511) Honeybourne-Long Marston on 21 June 2017 working shuttle service for Rail Libe 2017. 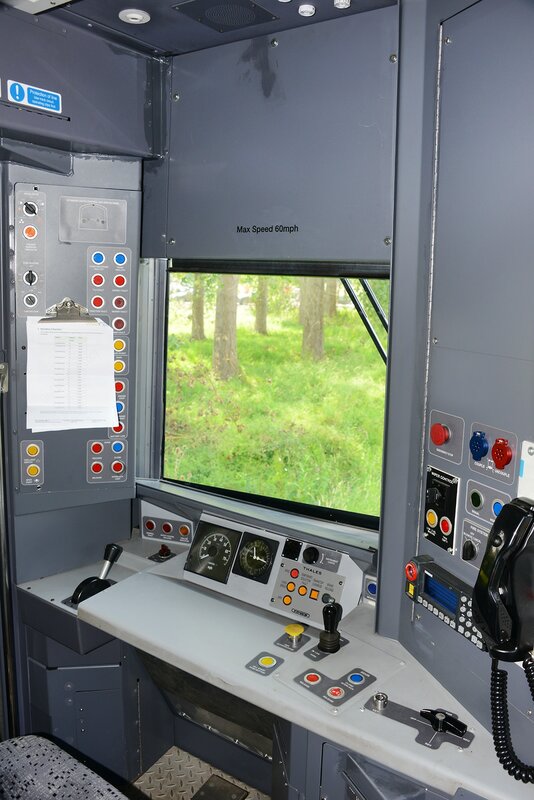 Battery test and development vehicle No. 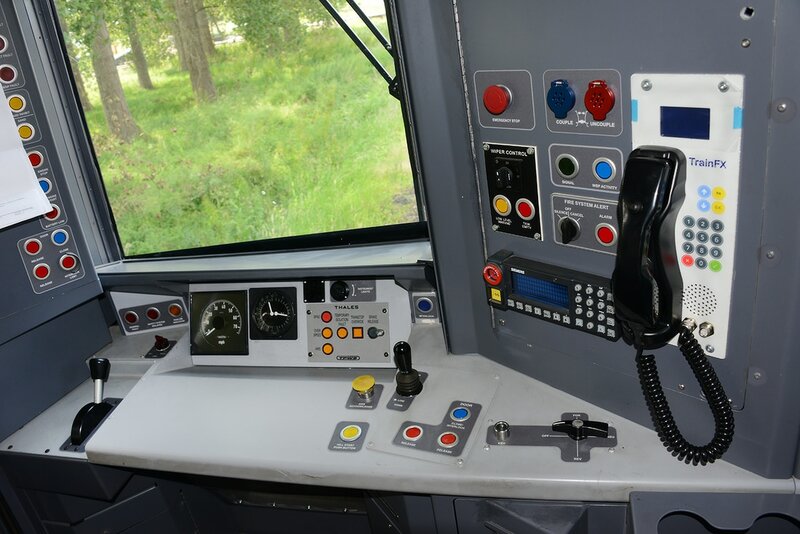 7031.